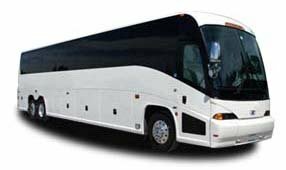 Compact, 18-passenger minibuses are the perfect size for quick day trips, small groups that don’t want to be split among cars, and private shuttle services at large events. Passengers will enjoy comfortable seating and overhead storage for a smooth trip within the city. Book with us for a personalized bus operated by a knowledgeable, professional driver. Our team is available 24/7 at 404-474-7769 to find the perfect bus for you! No matter what type of trip you’re planning, we’re happy to help.